CNC (Computer Numerical Control) Machining is a subtractive manufacturing process that involves using high speed, precision machines to remove plastic or metal from a block (“blank”) to create the design of a part. A CNC machine takes a specific set of code and uses that to cut out a part from a blank. The CNC machine code has a list of specific instructions on how to create the part. For example, the code will start off telling the machine where to place the tooltip, how fast the tooltip should spin and to what coordinates the tooltip should move to (CNC machines use coordinates on a set axis such as x, y and z axis). Machines commonly controlled in this manner include vertical milling machines, horizontal milling machines, lathes, routers and grinders. With CNC machining, parts can be cut out with extreme precision and can be easily replicated. When starting a new plastic injection molding project, plastic prototype parts ensure a product’s design is sound. 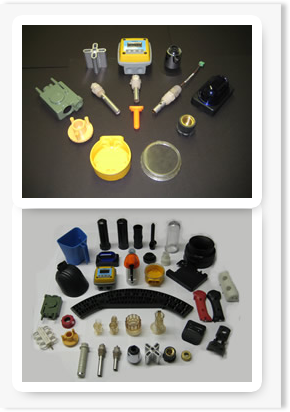 For most plastic parts, a CNC machined prototype will provide exactly what is needed for testing. CNC machining allows you to test the form, fit and function of injection molded parts without having to produce injection mold tooling. Since all you need is a proper CAD file, CNC machining is perfect for a small quantity of parts. Since there is no mold to create, you save money and time by directly creating the product on the CNC machine. That makes CNC machining perfect for runs under 100 pieces (once you get over 200 pieces it becomes cheaper to produce the parts with injection molding). Unlike in plastic injection molding where a mold has to be produced first, CNC machining doesn’t have that requirement. Once your files have been uploaded and approved, production can start right away. This cuts down production time dramatically. CNC machining has many advantages. It is a more precise process than manual machining, and it provides exact repeatability. Because the computer controls the machine movement, the machine tools can all move precisely and simultaneously on their axes to create complex, three-dimensional shapes that would be almost impossible with manual machining. These qualities make CNC machining a good manufacturing process for jobs that require a high level of precision or repetition. For plastic parts, due to the materials available and the production process itself, CNC machining can produce more robust parts compared to 3D printing. Therefore, they can be subjected to the same conditions as the eventual injection molded production parts. 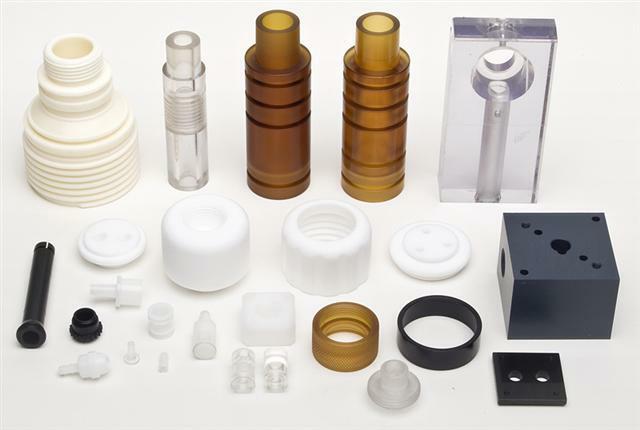 CNC machining is a good choice for making prototypes and low-volume plastic parts. Since CNC machining can be done with different materials than used in the 3D printing process, for example, it is frequently used for situations where the prototype needs to be tested under the same conditions as the injection molded production parts will be subjected to, and thus made of the same material. There can also be better structural integrity of parts that are CNC machined compared to 3D printed, due to the nature of the manufacturing process. CNC machining is a subtractive manufacturing process in which a block of metal (“blank”) is machined into the design of the final part. CNC stands for Computer Numerical Control, and it utilizes computers executing code sequences to automate the machine tools which cut the metal to the design model of the part. In CNC milling, the blank is held stationary while tools on various axes machine the part. In CNC turning, the part spins in a lathe while being machined. 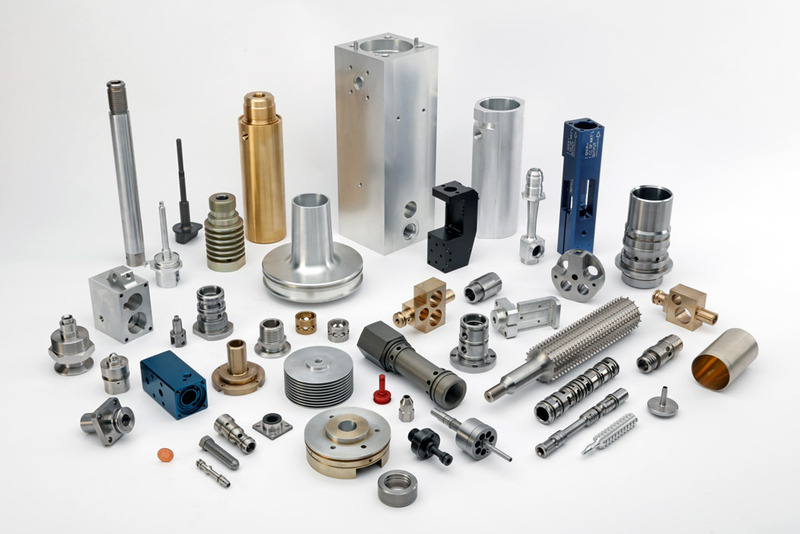 CNC machining is a good manufacturing process for small volumes of metal parts, such as prototypes and low volumes. Once your metal part is machined, we can also perform secondary processes like anodizing, plating and powder coating. You can also request tolerances tighter than our standard +/- 0.002″, or other custom processes. Whether your CNC machined metal parts are for testing the form, fit and function of a prototype, or for a low volume of finished parts, we provide a low-cost option with a fast turnaround.